Monitor Web, Email, Chat, File Transfers, Bandwidth and even Secure Web. Securing your data; even encrypted communications. Manage access even as users travel on and off your network. Increasing user productivity. Real-time Capture, View, Analytics and Control. Heightening management's awareness. Skype for Business chat monitoring, control and data retention. You're in control and about to make your life easier. Pearl Software provides advanced computer monitoring software allowing you to enhance productivity and protect and conserve resources. 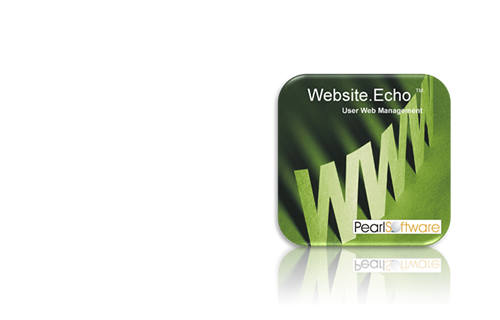 Pearl Echo internet monitoring software features allow you to effectively engage in employee monitoring for better productivity. The web filtering and monitoring software benefits extend beyond productivity enhancement, which is why it is one of the best web filtering software for business available today! 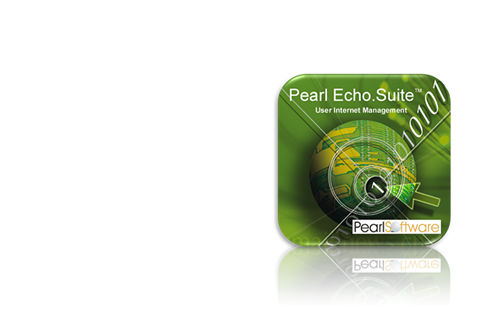 Pearl Echo's patented Mobile Monitor™ cybersecurity enables you to easily maintain the continuity of your Internet usage policies on and off your internal network. Echo Crypto.View™ - Secure sites act just like regular web sites. They can still be filtered the same way and by the same rules. The same is true for secure email. Safely view and control encrypted data (https, ssl, etc.) without the use of complicated proxy servers or Internet traffic redirection. Echo Smart.Capture™ - Focus on user trends while reducing monitoring and storage of non-pertinent user web activity. HTTPSafety.Check™ - Ensure the strength of encrypted communications. Safe Search - Enforce Google, Bing & Yahoo Safe Search settings. Installation Automation - Silently deploy Pearl Echo cybersecurity agents from your Administration Console. And More - See "What's New" here. We add security way-down-low to analyze network protocols so you have no worries about application choices, plug-in headaches or compatibility issues. Since 1996, our customers' networks have continued to evolve; our cybersecurity solutions continue right along side, helping to secure them. Pearl is the best, you're not competing with anyone, I did the research, we are just weighing the costs. We compared and tested your product against Websense and I'm happy to report that I am choosing your product which was much easier to implement and to use. All I can say is Wow!! I'm so impressed. This is 200% more valuable than SpectorSoft. So glad we switched...The officers are going to love this! Thank you guys for your help!! So many times a company blames the other party for the problem and doesn't help - you guys are different - [even when its not your problem]!! I think this is the quickest transaction I have done in my 10 plus years in this business. I appreciate Pearl’s dedication to precision. Echo does so much more than Websense; And without the yearly punch in the nose! The technician was very helpful and even helped me get some items through that were being blocked. 5 Stars!!! 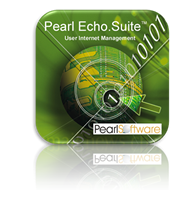 For the ultimate Internet Management Software, Pearl Echo ranks highest on our list. 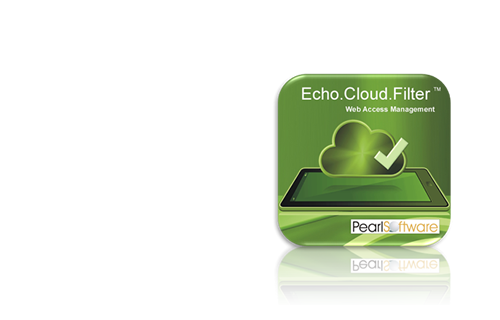 Easy to install and deploy; filters simple to configure; the management software is functional and intuitive. A nice tool for anyone who pays for bandwidth and doesn't want employees surfing overtime. Allows Internet control to remain a private issue. The most comprehensive software package on the market…Features are just too many to mention - you'll have to check this out and try it for yourself. 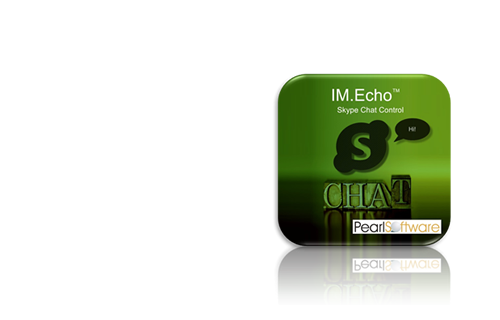 The best product for giving you control over monitoring and filtering access. Core Cybersecurity Features and Benefits! Categorizes surfing habits and provides insight into the amount of time and cost users spend on the web. Increases productivity by reducing nonproductive Internet usage. Reduces the risk of unauthorized transactions and communication of sensitive data. Increases management's awareness by providing informative reports that are automatically generated and distributed. Preserves access bandwidth for planned and intended use. Simplifies administration by creating custom Internet access profiles based on existing Directory users, groups and computers. Maintains accountability by sensing access violations and archiving information for future retrieval.